Add your friend's details to the box below and a new account will be created for them with a free ticket to Afternoon tea with an American twang. 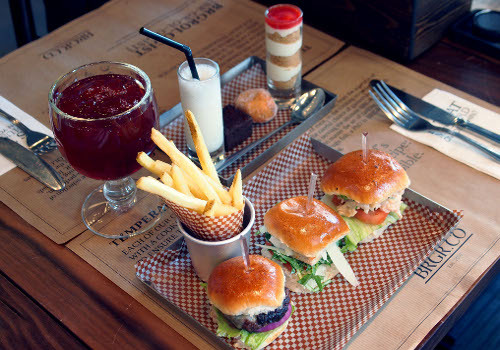 Think of an afternoon tea but with your favourite American treats: burgers and milkshakes. If you're intrigued, then let Kenny show you how afternoon tea is done - US style - for a cosy, bobbers only, afternoon of great food and conversation.